Most of us know that workout songs and music can help you to exercise harder. But if you understand how sound and music actually change your brain waves, you can use this knowledge to alter your mental and physical performance states with laser accuracy. But here's the basics, which will really help you when you're listening to today's interview with Dr. Jeffrey Thompson about how sound affects your brain. So, for example, when you meditate, you are focusing on something, whether it's a candle flame or your breath going in or out, or a mantra or a prayer. When you focus like that, the electrical patterns in your brain slow down and relax, and the amplitude of your brain-waves generally stabilizes in the alpha wave range. But it turns out that you don't need to be a trained monk or meditate for weeks on end to be able to achieve this state of alpha brain wave relaxation. Brainwave entrainment is any method that causes your brainwave frequencies to fall into step with a specific frequency. It's based on the concept that the human brain has a tendency to change its dominant EEG frequency towards the frequency of a dominant external stimulus (such as music, or sound). OK, so now we get to the cool, practical application of using sound and music to enhance your brain and change your brain wave frequences. I hunted down an expert, Dr. Jeffrey Thompson, from NeuroAcoustic.com, which produces and educates on using sound for stress reduction, relaxation, sleep enhancement, mega-learning, creativity, peak performance, meditation and higher states of consciousness. Click here to check out Dr. Thompson's CD's, which include tracks that train you for deep sleep, enhanced mental focus, or better athletic performance. By the way, if you want to geek out on this even more, you can check out audio–visual entrainment, which takes the concept of sound one step further, combines it with visual stimulation, and uses flashes of lights and pulses of tones to guide the brain into various states of brainwave activity. There's an interesting device called the MindAlive Light Therapy Device that does this. And there are certainly other ways that sound can affect the human body, such as by amplifying the frequency of your heart's electrical signals, but we'll save that discussion for another day, since I think today's blog post and interview was a big enough knowledge dump. If you have questions, comments or feedback – or you own experience with brainwave entrainment – leave them below. And be sure to check out my new Ben Recommends page, where I'm logging many of the other cutting-edge techniques I've been researching to enhance your physical and mental performance. Thanks. I’ll go look for that page. Things I learned in 2018, and lessons I admittedly should not repeat…. My first question for you would be to ask where in particular does your interest in using sound lie? Do you want it for physical performance enhancement, for relaxation, to help cure a physical injury? As this will inevitably have an impact on how you can best use the sound. So for example, the pounding of a big deep drum sends a vibration directly through the body and entire room, even changing the vibration in the room and energy fields. Also if a drum was beaten slow enough (similar idea to a fast bpm or slow bpm song; beats/minute) it will induce deep Theta and even Delta brainwave states. That process is called entrainment and can be used to even slow down your heart rate (great if you are an archery player and need a steady hand) or slow down breath rate or even used to get a rhythm back into people with erratic breathing patterns through anxiety. There are also other elements to the sound we can apply to induce other effects, For example instruments that are low in pitch such as an oboe will inevitably slow down the brainwaves, than say a high pitched sound from a flute which instead gives alertness. Humming a note also calms down your central nervous system, as do long smooth tones… such as the long tones that come out of a flute or when you sing an extended note Ahhhhhh. These long tones have a calming effect on your nervous system and can be great tools to use when you are nervous and need to calm down and you don’t have any other instrument but your voice. Look up Vagus Nerve and singing… it’s a nerve that runs through your vocal chords to the base of your stomach, and when activated can have profound calming response through the body. As for your hearing loss that won’t have any effect on changing the actual frequency/pitch of the sound, as the frequency comes from the actual instrument playing the sound, not from the way it is process in the ear canal. So once the instrument/sound is played the frequency does not alter. Although what may happen, is that you will hear a distorted version of the sound and that may inadvertently have a different effect on your emotional response and limbic system. Can I ask if your hearing loss was from birth? And have you ever had a frequency analysis of your hearing? Where they identify what particular frequencies you are not actually hearing? As some people have hearing loss at the top end/high frequencies, others at low ends, and some in the mid frequency levels, and to a certain point we can actually re-train ourselves to hear these frequencies. BUT it would depend on the reason for your hearing loss. Do you mind clarifying further? That's too broad to give a solid reply. What does this have to do with Quantum Physics? How do we know what we are using is safe? And can our consciousness be exposed in any way? Physics. It’s electrical pressure mediation. I believe this is due to usage of the frequencies and how often you use them I listen to theta wave frequencies once a week when I sleep usually on Saturdays, also I am even more curious to find out if these 4 types of frequencies used in the brain can in fact heal other than just release chemicals to block pain or anxiety. This entrigues me, I want to learn more! I too am fascinated with how the brain works! Once you start reading, the rabbit hole gets deeper and there’s so much more to learn and understand. I can sort of answer one question of yours with regards to pain… from my experience using sound with my terminally ill patients who are in physical pain, when I play the sounds for them for the purpose of relaxation their pain goes away from immediately in the moment, to sometimes up to a few days after. I am yet to fully understand what is happening and how the pain disappears, besides my gut feeling that while the sounds are playing, I ask them to put their full attention on the sound and in that way they are focused on the sound and vibration which, one, takes them into a deeper more relaxed brain state, and, two, brings them into the present moment fully, where I have an inkling that pain only exists in past or future… but still need to do more work on understanding how this is working. Good luck in your further research, it’s a fascinating field and once you start you’ll want to read and learn more and more. Hi there, I would like to know what free sounds u could recommend, I don’t have much money or credit card. I’m very low on dopamine and have insomnia :( I am a mum of 3 I need help! Hey Mary, you can just go to youtube and type in your desired frequency and binarual beat. So if you want deep sleep look up the delta hz. Or you can look mynoise.net there is some really good stuff there. It was because I saw something like this on there that I looked this up. Very intresting, Ben i have wondered about the sound waves from transmitters, does our body work similar as a radar interceptor. What effects or defects can we expect. I play Steel guitar in many bands. Normally im in the middle. Frequency flying from both sides. I have been to the place of almost loosing concience. Of course i sleep good, 68 yrs old and feel pretty good. Suppose these frequencies have any effect there. I was given a music track to listen to on headphones.it was an act of terrorisim and caused my brain to feel like it had ripped apart.the track was an instrumental music type but with different frequencies on each l and r side and it had very negative subliminals spoken in the centre field of the stereo imgage. These were almost inperceptable untill after many listens. I got very bad migraine and then tinnitus.my head feels electrified and i think a compensatory interference wave that has been generated and is making the tinnitus worse. The bi aural beats bounced from l to r in the track and listening to that resulted in a sensation of my brain being ripped apart. How can i cancel these effects? i am not entirely sure how its done its damage but i was ok until then..these people have tried to damage every area of my life and are part of a crime syndicate.any sound at all seems to add to the tinnitus even more. Does anyone know how this has been done? Thanks T.
Wow. I have never heard of this. Anyways, I'd be happy to help you via a personal one-on-one consult. Just go to https://bengreenfieldfitness.com/coaching. and then choose a 20 or 60 minute consult, whichever you'd prefer. I can schedule ASAP after you get that. I suffer from the same! I think the vibrations are made by amplification with a pc/or other device. I hear high pitched sounds and at the same time low pounding. Or vice versa. The high pitched burn my skin, my eyes and even my throat. low pitched gives me a murderous headache, as well as joint pain. With bruising the next day. I have put it down to aircraft noise when landing. Or heavy traffic. Right now there is a whining sound and a beat like from a drum. I have been to a Psychiatrist first for depression and then for this nerve pain. Depression is under control, yet the nerve pain appears whenever I feel those vibrations from my toes to my brain. They can start at midday and last until midnight. I was given medication for psychosis and nerve pain, made no difference and I suffer for hours until I fall finally asleep. I also makes me angry and I agree with you that this is created by some very evil and sick minded people in my neighborhood. It does not help that my husband does neither hear nor feel any of this. I am a cancer survivor and have also wondered if this occurrence are not the late side effect from Chemo and Radiation? Thnks Ben for bringing Dr J Thompson to the Mic !! Taken beatings .. Would like to hv sound table used on my bod..
physical / bio inf o to me. Do sound effects in yhe change in body systems such as skeleton system ,change in eye colour…etc..
Ben, I know this interview was 3 years old, but just stumbled across this & I was curious about the mind alive device? Do you have much experience with it ? I have been listening to BB’S for around 6 Months. I have a Q: that ha been plaguing me the whole time! 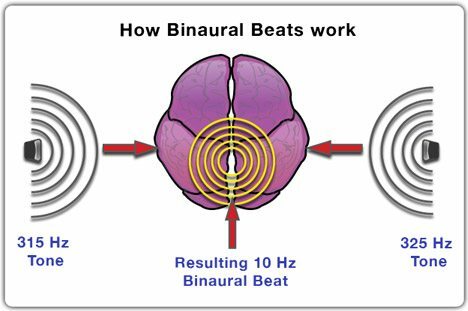 How do Binaural Beats aid/target specific ailments IE, Depression, Anxiety, Love, Weight loss, DNA Regeneration & all other manner of things? There's not a huge amount of research on using them to treat specific medical conditions but I'm working on a podcast about how music, so stay tuned. Having sleep issues and pain issues,due to lay offs back stocking groceries at 60 years old.Stayed on Basketball courts till I was 38,now I cant run to get out of the rain. I refuse to have any kind of knee surgery. So far have purchased recovery boots and earth pulse. Still not sleeping great after 2 months with Earth Pulse,but recovery boots are helping with the throbbing I had from knees down after work.My question -is the Mind Alive device the best option or the LFC Brain wave glasses that Nick Delgado sells.There is little info on Brain Wave glasses on net. Thank you so much for providing this information! It was so helpful! Great podcast, very interesting topic. Do you have any reccomended readings that provide more insights and how to use brainwave therapy? I am looking for directions such as how long to use each day and also what frequencies to use for specific stimulations. Keep up the good work! I have been experiencing health problems due to long term exposure to amplified frequencies in my home. I live in a housing community in St. Croix USVI. Tenants in the next building, that is very close to mine have alot of parties and play music, watch TV and use their playstation for games. All the electronic equipment is being played through an amplified device. “When I lockdown my house, making it a confined space. I hear a low tone of a pounding rythem and not the loud music. I started to experience an erratic heart rythem that led to chest pain and my head felt like someone hit me with a 2×4. My nerves are about shot. I found out the hard way how to detect these frequecies by shutting down my house (in order to make it confined and listening for low tone pounding noise. I have 1 safe place to go in my house where I don’t get the effects from the amplified frequencies. I have had to investigate health issues in the community to find out if I was the only tenant experiencing health problem. I was horrified with the results of my findings. Can you give me any information that I may use to educate the community and the government about the exposure and long term effects of these damaging frequencies. I BROUGHT MY GRANDSUN BRYCE (AGE 4 MONTHS) A HARMONICA YESTERDAY. HE LOVED IT UNTIL HIS MOM PLAYED THE LOW NOTES. HIS BOTTOM LIP STUCK OUT, IT SHOOK A LITTLE, THEN HE CRIED HIS HEART OUT. WHEN SHE PLAYED THE HIGH AND MEDIUM NOTES, HE LAUGHED! GO FIGURE! WE DID IT SEVERAL TIMES WITH THE SAME REACTION! Does anyone know if the MP3s on Amazon are in the format Dr. Thompson mentioned? No, but I've used the Amazon ones and they work fine for me! I was thinking about buying the Earth Pulse electromagnetic pulse system, But some of the claims made on the podcast seemed too good to be true. Have you tried the Earth Pulse? If so did your recovery, and ability to heal improve? Yes, I swear by it now! Ben, which device for sleep would you recommend more, the mind alive or the earth pulse? Would love to try one out but not sure which one is best for sleep/insomnia. Thanks for all the great information! Earth Pulse, Tricia, for sure. Thanks for the kind words, Greg. The reason I got rid of the free book is because it is outdated and I no longer agree with much of the advice in it, such as eating whole grains. However, you should be able to still get it at Pacificfit.net. Thank you so much for yet another educational and helpful article! Within half an hour I solved a problem I'd been looking at for days! Thank you Dr Thompson and Ben!! Great interview. I've experimented with binaural beats and some of Thompson's CDs and found them beneficial. I also use an iPod app that allows one to select different programs. Used one today for a post MTB, post lunch recovery nap and it was awesome. Ben – Big time fan here. Your link to neuroacoustic.com isn't working – looks like it should be neuroacoustic.com (no "s"). Thanks Jim, I'll fix it!